There are a lot of stuffs that’ll definitely make me feel like the image above and this is certainly one of it. I was just browsing through Google’s Playstore and I found an unusual app. 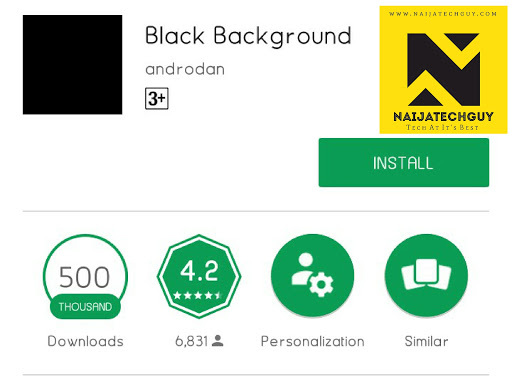 The app which is just 10kb in size had over 500 thousand downloads and rated 4.2. Guess what? . It’s a wallpaper app. It’s certainly not a picture of Selena Gomez , It’s not a picture of Justin Bieber either. C’mon.. Seriously? . What happened to taking a picture in a dark place or just covering your cam and taking a picture. I thought quite a few people were crazy but 500,000 is definitely a huge number of earthlings running round the planet. And just to think the person who put this on playstore spent $25 to drop this there. I reserve my comment on this.